Sounds deep, right? Well is it. It’s not always about your external messages. In fact, this is the first mistake many organizations make when they rollout a brand (or just try to live an existing brand, for that matter). Don’t worry credit unions- you’re not the only industry that has this problem. The first area of focus on living a brand out in an organization is with your employees, not your external messages. Share your brand personality with new employees. How many people read the credit union’s company handbook? They are typically long, and not interesting. Give them something that explains what the credit union is. Focus it on your brand. We call this a culture book. ABNB Federal Credit Union gave one to all employees when they launched their new brand. 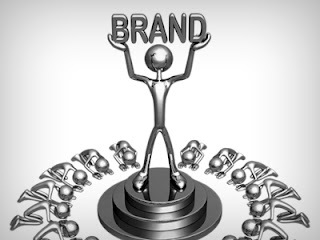 It can be used as a rally cry which gives everyone the chance to live the brand promise. You don’t force feed a new brand, new initiatives or new products to members- you sell it to them. It shouldn’t be any different with your employees. Build the excitement; create the buzz. Get your team behind anything that’s new before you put it out to your members. How many members does your credit union have? 50,000? 100,000? 200,000 plus? Remember that every member you have will interact with a front line staff member. Every time that touch point happens, you have a member directly interacting with your credit unions brand. Making sure that is a positive interaction is one of the most important actions credit union management can make. Keeping employees happy at work makes that positive experience come to life.